1.) Hot water in Shetland is apparently very hot and can scald you. A lot of signs on taps indicated that. 2.) Drive slowly through villages in the north due to free ranging children and chicken. I saw a couple signs like this, unfortunately I don’t have a picture of one. 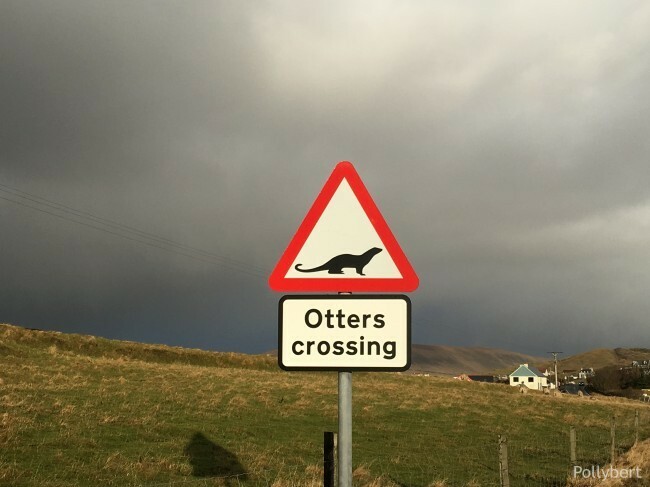 But I do have one of otters crossing. 3.) 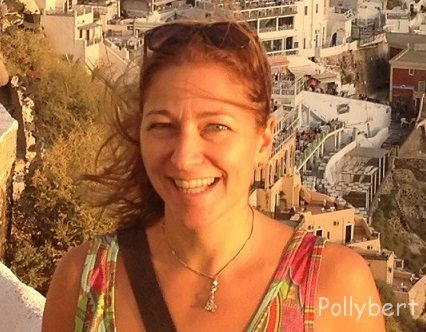 Shetlanders are the most friendly people! 4.) The weather can change from sunshine, to rain, to hail all within an hour. 5.) I am a really bad dancer when it comes to Scottish dances (just ask this woman whose toe I stubbed). 6.) Shetland is like one big village. I met several people a second time in the hall where we partied on Up Helly Aa. 7.) Don’t leave Shetland the day after Up Helly Aa. You need to stay at least one more day to fully enjoy the after-party (and be able to drive again). That was clearly a beginner’s mistake! 8.) Shetlanders must be the most honest people on earth. Our car wouldn’t lock and after a day I totally forgot about that. Left all my belongings including handbag, camera etc. in it and returned to everything still being there. 9.) Sheep are nosy and follow you around. According to a local farmer they are only interested in grub though. Still I liked the idea that they fancied me. 10.) 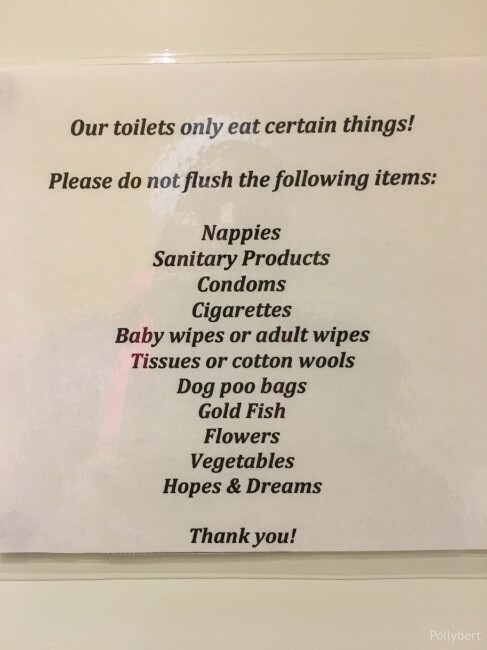 In Shetland you are not allowed to flush your hopes and dreams! 11.) The hall party on Up Helly Aa was the most astonishing experience. Old and young are all dancing together and having fun. It was one of the best parties I have ever been too. 12.) If you want to eat in a restaurant on Up Helly Aa you need book a table. Also for the day before. Lerwick fills up in no time. Otherwise it will be fish & chips at home. 13.) Arriving on Shetland via Aberdeen is a great idea. It gives one the chance to party in a church the night before. 14.) 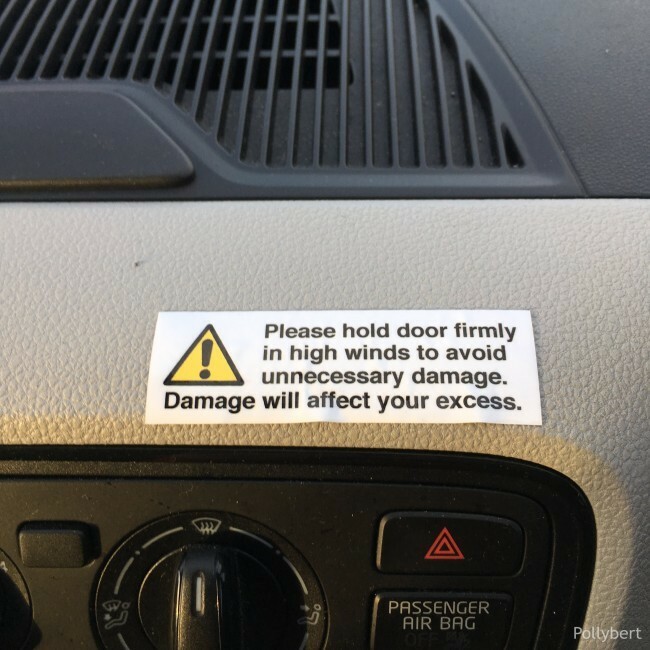 The leave stickers in the rental cars to warn you of strong winds. 15.) I was called a stunner by a very drunk guy. As we all know children and drunk people always speak the truth! Loved it, best compliment in a long time! Europe, long weekend, Scotland, Shetland, tips, travel, traveling Europe, traveling with friends, Up Helly Aa. Bookmark.